I have just come across a new product that might be interesting to all the PocketQube builders out there (or anyone who is interested in small RF links in general). 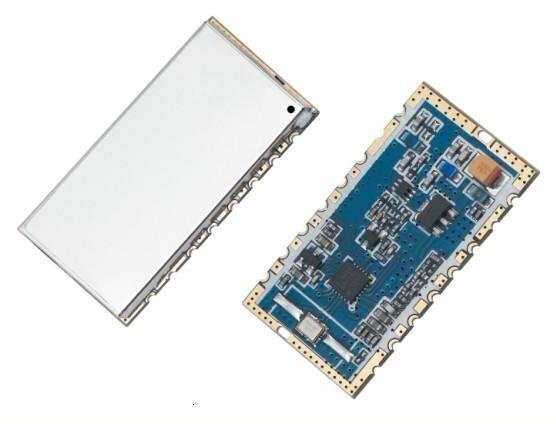 It is a new module from a company called "Nice RF" . This is different to HopeRF , so it seems that competition is alive and well in Shenzhen, China! The module is the RF4463F30 . Note the higher sensitivity of the RF4463F30 is based on a lower bit rate and smaller frequency deviation. Now as the RF4463F30 is based on the Si4463, all the software commands that apply to the Si4463 can be used on the RF4463F30. Bearing in mind that 2 of the GPIO pins are used internally in the module for antenna switching functions. So is this new module worth double the cost of the RFM23BP? Remembering we're talking about wireless modules that cost under $20 each, but it depends on your scenario. If you need to have (relatively) high power, both modules fit the bill, with similar power output and power usage. The newcomer seems to use less on the receive side, but if you want lower power usage for receiving, you may want to get the regular Si4463 module without the high power option, as the sensitivity is the same. The HopeRF module uses a register based firmware, whereas the Si4463 uses a new API approach. I think some testing may be in order to really understand how the modules perform. They also have some test or demo boards with built-in Microcontroller and LCD. All in all, it looks like there are now a few more options for ready made radio modules for PocketQube's! Some more useful info for PocketQube builders relating to the ST SPV1040 IC. Turn out that it is being used in the US AMSAT Fox-1 Cubesat, CUBESTAR cubesat, NTNU Test Satellite ( NUTS), ESTCube-1 , and probably several others. If you read all the papers and articles about these, you should get a good idea about system designs. They all have different features and limitations, so you'll need to look at the datasheets to make sure it's right for your project. As PocketQube's are pretty new on the space scene, there isn't much in the way of COTS hardware available. You can now purchase the bus structures and ground integration jigs from PocketQube Shop , but it takes a few more components to get a fully functioning satellite! One important area to consider is comms. How am I going to communicate with the satellite, and how is it going to communicate with the ground? For now I'll just talk about the space to ground segment hardware. I won't include discussions about licensing as that's for another time. 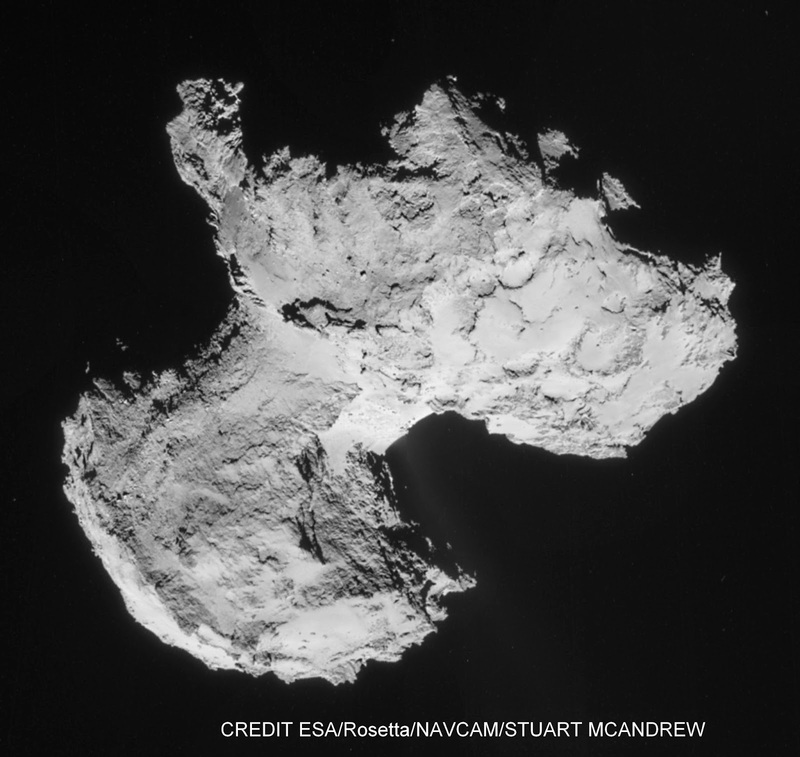 The spacecraft is going to need a radio and an antenna, along with sufficient power to enable the signal to reach the ground. Out of the 4 PQ "veterans" in space, at least 2 ($50Sat and T-LogoQube) are known to have used the HopeRF RFM22B radio module. This is a tiny 16x16mm RF tranceiver module, that is capable of +20dBm output (That's 100mW for those that haven't googled it yet), in the UHF frequency range. It is based on the Silicon Labs Si4432 Radio IC. Despite the seemingly limited power output, some of the data types can be detected almost horizon to horizon - approx 2900km range! Data packets can also be decoded at up to 900km with just a 10db gain Yagi and a LNA. Not bad for a sub $25 radio module!!!!! Compare this to Cubesat Radio systems that cost well over $5000. GomSpace sell one for 8000 EUR with a 3W transmitter. Clyde-Space have one for $8600 , with 500mW to 2W RF output. 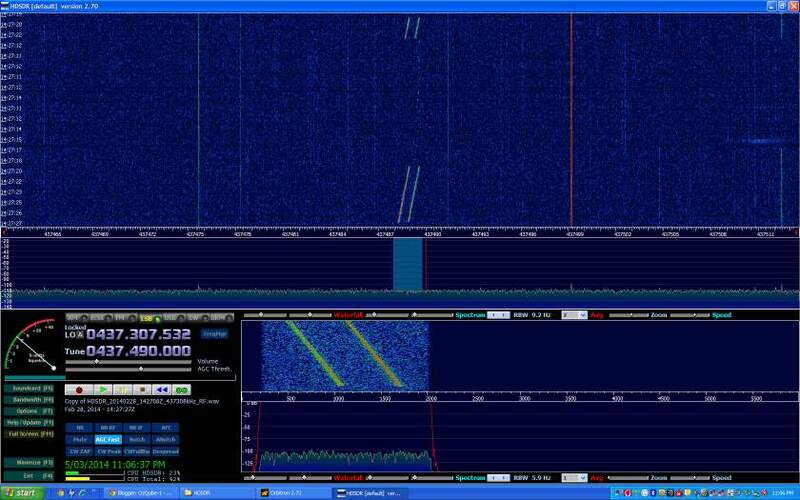 There's a thread on the DIYsats forum here about this and other HopeRF radio modules. So the RFM22B is a proven performer for PocketQubes. Its low power requirements make it a good choice, but it does have some limitations. The data rate used by $50Sat is 1kbps. This is fine if your payload isn't very data intensive. But what are the alternatives? Here's a few areas I am looking into. HopeRF make another module - RFM23BP. This is similar to the RFM22B, except the power output is 500mW. The higher power should allow higher data rates. The issue with this module is the higher electrical power requirements, which can affect how the PQ power subsystem is designed. Still on the HopeRF parts list is the RFM69HCW. This module appears similar in specification to the RFM22B, but is based on the Silicon Labs Si4463 module. Now Silicon Labs state that the Si4432 shouldn't be used for new designs, although I don't think they intended their parts to be used in space! The Si4463/RFM69HCW uses an new API style approach to programming. While touted as being simpler and more efficient, testing from the $50Sat team has so far proved otherwise. Silicon Labs also state that a low cost external FET can be used to boost the output to 27dBm/500mW. Testing would need to be conducted to validate this approach. Another HopeRF product is the RFM26W . While similar again, it is described as a device that "operates as a time division duplexing (TDD) transceiver where the device alternately transmits and receives data packets." On to the RFM96W and the RFM98W. These are based on Semtech IC's, probably the SX1276 . These have the capability of using a patented LoRa modem, which can potentially increase the devices sensitivity, and therefore link budget. Further investigation is required as this ic has duty cycle limits, and whether the LoRa function works when the radio isn't configured for spread spectrum usage. Then there's the HM-TRP. These are possibly most commonly used in the 3D Robotics Wireless Data Module. These also have 100mW/20dBm output, but operate as a simple transparent FSK transceiver - meaning that you just feed it UART data and it converts it to RF. Another option could be to use a FEM ( Front End Module) in conjunction with the RFM22B. RFMD make a module - RFFM6403 . This is a 1W Power amplifier, but it can also operate in Bypass mode if required. It can also be a LNA for the receiver. This part is brand new and is available now in a reel, or later in March if you need single items. Definitely worth evaluating. Other alternatives are pre-made modules from Radiometrix. They have some compact VHF / UHF transceivers. ( maybe not as cheap as $25 though). The only conclusion so far is that I really need to get my Amateur radio license and start doing some testing! I've purchased some of the HopeRF modules for testing, and have made the rookie mistake of buying the bare modules, sans breakout board. Half pitch pins don't fit in normal breadboards! 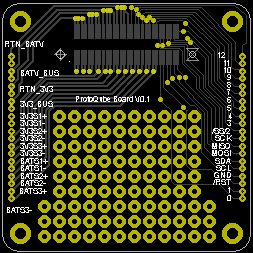 Fortunately bare breakout boards for the RFM22B are available from Modtronics in Australia. Others should take my advice and get populated boards such as those from Modtronics or from Sparkfun in USA. As for the other modules, if you have any skills in KiCad, you can design a basic breakout and get the boards manufactured relatively cheaply from places such as Seeedstudio or Itead Studio. I'll let you know how I get along!